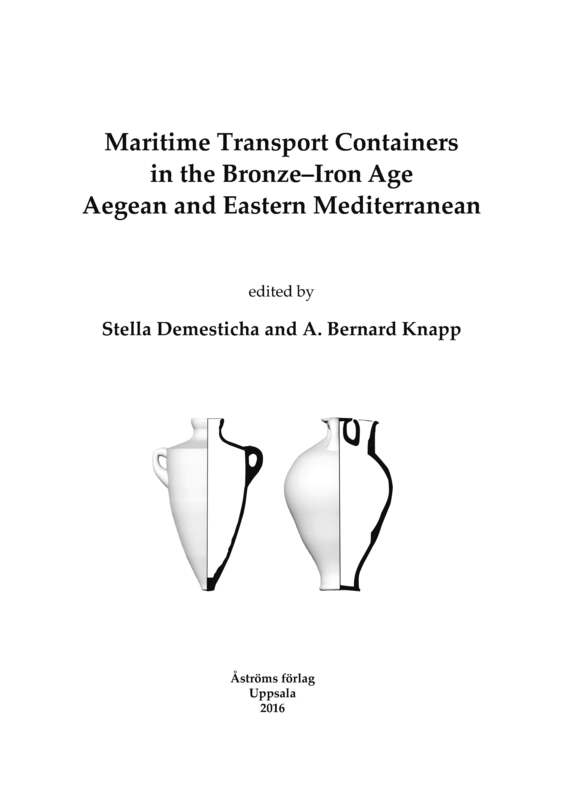 Maritime Transport Containers in the Bronze–Iron Age Aegean and Eastern Mediterranean. The maritime transport of goods in bulk provides a clear indicator of many facets of trade, from networks and merchants to individual economic transactions. One of the key material factors involved is what we term the Maritime Transport Container (MTC), examples of which include the Canaanite jar, Transport Stirrup jar and Phoenician amphora, or more generally transport amphorae. Although studied systematically during later periods, the early phases in the development of MTCs are relatively obscure, because their maritime function and attributes are often overlooked. This volume provides an overview of these early stages — from the Early Bronze to Early Iron Ages in the Aegean, on Cyprus and in the Levant—in the emergence and development of MTCs, and their diverse roles in trade throughout the Aegean and eastern Mediterranean. By reconstructing the early stages of their production and use, we gain important insights into the initial aspects of seaborne trade in the Mediterranean, and can see how maritime transport containers serve as markers of trade mechanisms of different scale, and of economies that more or less depended on seaborne trade.